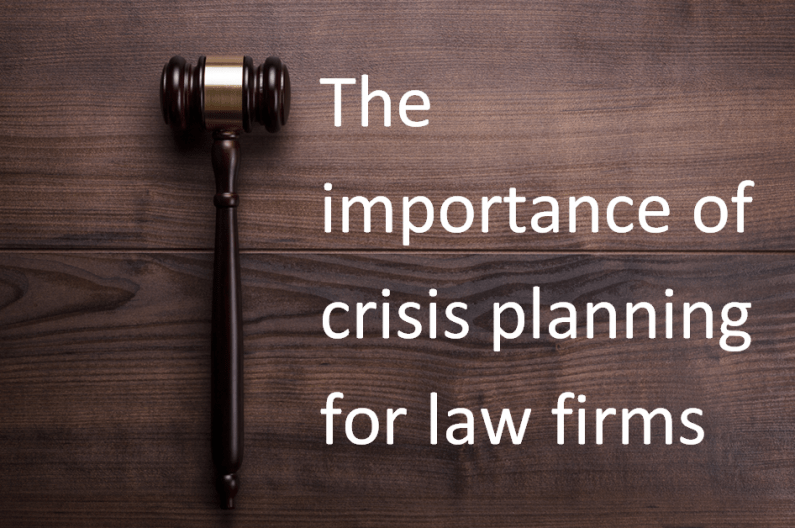 Whether you are an independent law firm with predominately local clients or a multiple office law firm with a national/international focus, it is vital you have a plan for when crisis strikes. All law firms are vulnerable to crisis, whether it be internal (e.g. a colleague stealing from the client account) or external (e.g. a virus leaking confidential data or a criminal posing as a bank security team). The nature of what both constitutes and arises during a crisis is changing, or indeed has changed in recent years. This section is not devoted to how a law firm can protect itself from a crisis online – such as having social media policies in place and setting strong passwords etc. – but to how a crisis can quickly snowball out of control, and have long-term implications with growing internet usage. What was once word of mouth is now world of mouth. Bad news travels fast in the digital age, particularly with the growing prevalence of social media. The reputational damage that a law firm may suffer from a crisis is exponentially heightened in the digital age, and it can happen both very quickly and very easily. A ‘tweet’ that is sent out by the firm or a ‘tweet’ sent by an unhappy client can very quickly become viral and seen by millions across the world, for example. Law firms, as with many businesses across the UK, are spending a great deal of time in enhancing their visibility on the internet. Where a law firm ranks on Google is quickly becoming a central management issue. It is a big contributor to the number of leads a law firm generates online. Google is where prospective clients often go to research your company, to look up your services or to make contact. A law firm’s association with a crisis, be that a misguided tweet or insufficient risk management practices, is likely to be seen whenever its name is typed into Google. What impact will that have on the generation of online leads?